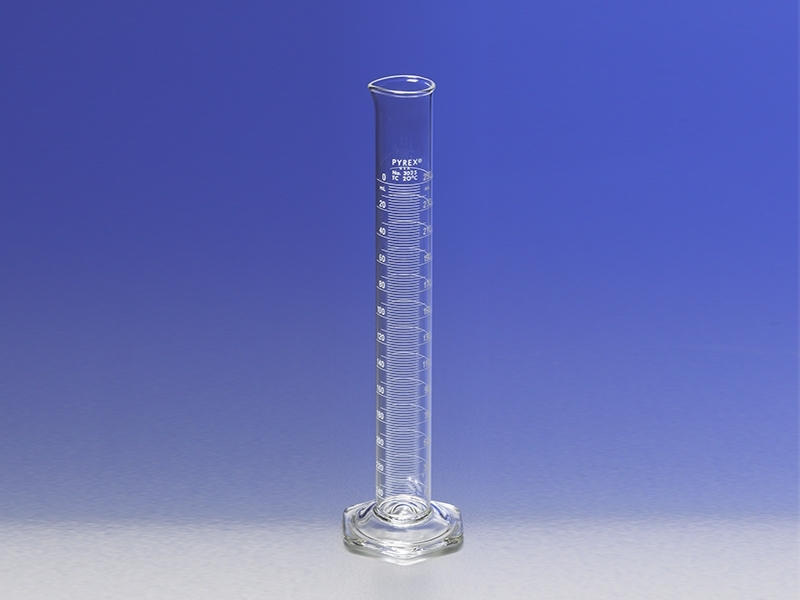 Economy PYREX® Graduated Cylinders with Double Metric Scale are calibrated "to contain." A less costly borosilicate glass PYREX® graduated cylinder, designed for those institutions performing many general laboratory procedures. No bumper guards supplied.